Today social media is no more a set of sites for people to share their likes with their friends; it’s the new holy ground for marketers to sell their products to you. Everyone is behind you, everyone is watching you; from bankers to retailers. They track each of your likes, each of your shares, whom you follow, what you tweet, where you are from, so that they can sell you what exactly you want to buy, or at least what they think you want to buy. Hundreds of analytic firms are ballooning everyday; analyzing your data, your personality. If you think that private settings of your social media accounts are the indispensable locks, well think again. 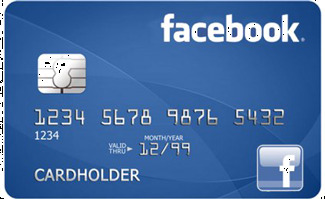 Banks are taking banking to the social media; you can link your bank account to your facebook, twitter. Check out Kotak bank’s new social banking venture JIFI; where you can open an account with facebook account and do banking with tweets!!. The account doesn't pay you any interest what so ever if your balance is below ₹25000. Then why do you think you need to open this account. Well, they say you’ll get points for referring this to your friends, commenting about it, liking it, tweeting about it. Points can be redeemed to ebay vouchers.If you are thinking that you have seen enough of this non sense, you are not alone. Things wont stop here, you can integrate pockets app of ICICI to facebook and transfer fund through it. What more convenience does it give to the facebook freak other than the seconds saved in switching tabs to go to icici mobile banking app ? Are we ready to open a 0% interest savings account with a bank, just because we can access it through our tweets? Are we so damn social we won’t even close facebook app and want even banking to happen through that app? Well it gives extra convenience that’s for sure. But then don’t even think of your account getting hacked. Of course this is the problem with all accounts on web not just limited to social sites. Image in the future, when you go to a bank to a bank to get loan, they charge interest rate, or worst even deny the loan based on what kind of kind of messages you are tweet, kind of pages you are share, kind of pics you like. Well you need not imagine too far, MovenBank US is planning to come up with a credit score CRED which is a combination of traditional scoring elements and a consumer's social media "street credibility." Your social credibility increases more if you refer and introduce more friends. Putting it in simpler words, more you spam and annoy your friends with marketing promotions, more socially credible you are. Most of the lenders in croudsourcing platform do go through your social profiles before taking out the penny from their pockets. There are some firms which simply tried to leverage the social media and try to increase your loyal customers and fan base without genuinely addressing peoples problems or not having a reputation for the same. As you can imagine, things get really dicey in these kind of situation. For instance, JP Morgan cancelled it’s planned Q&A session in twitter with a senior executive after being slapped all over with hard hitting questions and jokes to it’s hashtag #AskJPM. When you locked people out of their homes & ruined their lives, did you still send them credit card invitations just to rub it in? We may be the crooks who bankrupted society, but we'll find a fanbase on Twitter. If you feel like a failure, imagine being the person who came up with #AskJPM. Imagine in the future, recruiters finding going through your profile and rejecting you based on how you socialize with your friends. 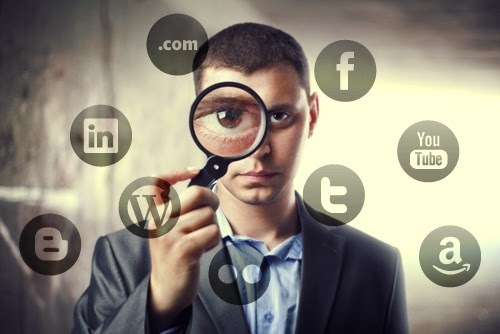 You need not imagine too much here, a survey conducted by Oilandgaspeople.com showed that 82% of employers have looked up potential candidates on social media sites, while some 64% have rejected a job application after viewing a candidate’s social media profile. Next time you get rejected in an interview, chances are they might also have seen your facebook page. Hmm weren't social media profiles just to interact and keep in touch with our friends? Soon facebook ads will come with BUY button along with like and share buttons. Through this you will be able to buy the products directly from your facebook page. And apart from “Shop now” button on ads, twitter is coming up with “in the moment” commerce wherein you can add products you see in twitter to the shopping basket of let’s say Amazon. The whole idea of being social is turning into selling your social data to the marketers and in turn they selling their products to you. This is the reason 11 million users deleted their facebook profile in last 3 years. Anyways we always have the control of what and how much we want to share with marketers, oh sorry with our friends!! Is our so called social space getting turned into a business space? Are we heading more into the age of sharing advertisements and liking promotion offers than what we created our account at the first place ? I like your post, thanks for sharing. I am a customer support executive in an online cab service company in Kerala. Kerala has most popular driving routes. Companies newly provided malapuram taxi service from kochi are well going here. Visitors are picking cab service to travel around India. Guys, instead of selecting "Anonymous", you can select "Name/URL", provide your name and leave URL empty, if you don't have. It'll help others to refer you. Amway: The Most Intelligent Scam Ever? Narendra Modi and the Gujarat Model : Facts behind the overhyped, over advertised beliefs.